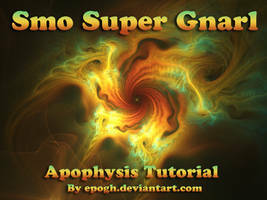 Tutorial on how to create hypertile fractals in apophysis7x, jwildfire and chaotica. Note: Chaotica can only do 2D part, keep that in mind! I got C-91's seal of approval and huge thank you for her proofreading and assisting in creating tutorial clearer. Thank you for people who tested the first version, this version should be much better. some plugins are sadly not available. where i can find it? by the way: beautiful work! Everything else expect post_spherical is available in aposhack plugin pack. foci -> spherical, then moving spherical instead of foci+post_spherical. Hey! This is a great tutorial. I used it here. I was tearing my hair out following this then realised I was using the wrong version of Apophysis. Downloaded the right one and picked up the right plugins and some interesting things are happening here! I'll link once I'm done tinkering Thanks! THANKS! I try it at once! Thank you ,i did the Tutorial i learnt a lot from this. Everything was fine until I went 3d and then all out of wack. I guess I'll have to find another tutorial to start with. Once I went into 3d I lost you completely. You also kept adding plugins without telling us which made me have to double back. I understand that you probably had those plugins already. Once you changed all the transforms to 3d the steps became more unclear. 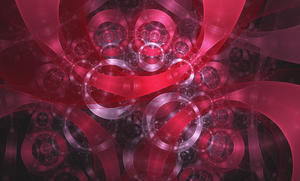 This is my first time doing Apophysis so I was already in the dark. I understand what you were doing now but was unable to get the same results. It could have been the camera since the adjustments you gave did not compute they only messed up the perspective. I was unable to get that nice tilt. The bubbles exploded. Would have been nice if the directions were better. 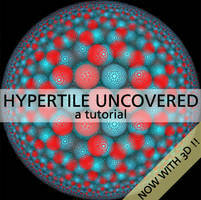 Hey, I'm afraid there's no other perfect overlap hypertile tutorial. I'm gonna start fiddling with this. This is a gift. Thank you! The above is my first trial of the tutorial. at the moment, at least, i think it's going well. I have a huge one rendering that i *think* is pretty dandy. we'll have to see. I'm struggling with noise, a bit. Wow, I was waiting for this tutorial ! Is it possible with 7x 15B too ? I will post my first tryout. Fairly simple but I am still in the learning phase. I am so glad with this tutorial ! Thanks for the awesome tut I'll try it soon! This text for people who writes text for ants. And now, do the tutorial! is there an x64 plugin for hypertile2? ?